FundaVida offers English training for those just beginning to learn as well as equipping young people to become fluent speakers. English can open the door of opportunity and help them gain employment. 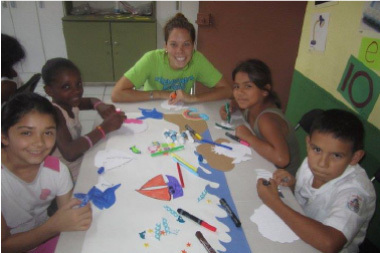 English speaking volunteers help in FundaVida’s bilingual program by spending a few hour a week conversing with young people. In collaboration with Centro Cultural Costarricense Norteamericano (CCCN), FundaVida also offers the highest level of bilingual training available in at-risk communities.